Only recently now former Prime Minister Algirdas Butkevičius admitted to having tried to hide from coalition partners that Saulius Skvernelis, then a cabinet minister of his, decided to follow the Peasant Greens into the elections, but already this week the departing Butkevičius had to shake Skvernelis’, who was appointed the new PM by an impressive Seimas majority, hand. A. Butkevičius will not be present in the new cabinet, nor will many of the names declared earlier in the process. Three candidates to the new cabinet were delegated by the Social Democrat Party, while the remaining 11 – by the Peasant and Greens Union. Of those 11 only one is a member of the party, the candidate for the post of Minister of Agriculture, Bronius Markauskas. It appears that S. Skvernelis was allowed to have his way when he said he would choose ministers without any party directives. Furthermore you would be hard pressed to criticise the candidates for like of professionalism in their careers so far. That does not, however, mean that there is nothing to keep in mind. On Thursday, when departing incumbent ministers were answering the questions of new members of Seimas, PM Butkevičius did not show up. Peasant and Greens fraction member of Seimas Justas Džiugelis made all the departing ministers hand their heads in shame, asking why the government discriminated against the disabled, breaching the UN Convention on the Rights of Persons with Disabilities that was ratified in 2010, disregarding their opinion. “Unfortunately I was disappointed by the answer because they claim there were consultations, but information has reached me that there is no dialogue and that it is the main issue raised by those outside the government, specifically those with disability,” explained Džiugelis. The only handicapped member of Seimas, sitting in a wheelchair, says he voted in favour of the new PM’s appointment because he hopes that the new government will shift views of the disabled. The opposition Liberal Movement fraction almost unanimously abstained during the vote regarding Skvernelis’ candidacy. “We did not hear a guarantee that taxes will not be raised, thus our decision was to abstain,” explained Liberal Movement fraction member Virgilijus Alekna. Member of the Conservative political group in the Seimas, former Lithuanian ambassador the United States Žygimantas Pavilionis has stated he could not support Skvernelis‘ appointment because he is not satisfied with the approaches to cooperation with the United States present in the government programme project. “I do not value people just on words, I view the entire history of the Peasant and Greens party. Historically they have so far been very anti-American. In fighting shale gas, fighting the nuclear power project, fighting the transatlantic partnership,” stated the Homeland Union – Lithuanian Christian Democrat fraction member Ž. Pavilionis. The PM elect has proposed Vilnius Caritas director Linas Kukuraitis as Minister of Social Security and Labour. The latter travelled to defend the prosecuted Jurgita Švedienė and Dalia Jakaitė, who helped pregnant women give birth at home and were accused of illegal activities. The potential Minister of Social Security and Labour assures that these activities should be legalised. All five of Kukuraitis’ children were born at home with the help of the defendants. Having not been appointed Minister of Foreign Affairs, Petras Vaitiekūnas will be invited to work as the PM’s advisor. Social Democrat Linas Linkevičius will remain in the post. The list of candidates no longer contains Professor Vilija Salienė, the Educology University studies deputy dean. Instead Jurgita Petrauskienė, who is currently the head of the Research and Higher Education Monitoring and Analysis Centre has been proposed as Minister of Education and Science. Unlike the Peasant Greens she has expressed the opinion that there are too many higher education institutions in Lithuania. The names of Stasys Jakeliūnas and Virgilijus Poderis are no longer associated with the posts of Minister of Finance and Minister of Energy respectively. S. Jakeliūnas had to publically explain himself that he is not planning on nationalising the property of pension funds. Vilius Šapoka, formerly director of the Financial Services and Markets Supervision Department at the central Bank of Lithuania, has been proposed as Minister of Finance. According to Šapoka, the radical statements made by S. Jakeliūnas, who is now the chairman of the Seimas Budget and Finance Committee, that the second stage pensions should be abolished is a matter of political agreement, more of a theoretical discussion. Meanwhile Virgilijus Poderys will be heading the Seimas Energy Infrastructure Commission. Why he did not become Minister of Energy, he says he does not know. “We simply talked, that’s all. I did not participate in the discussions where they chose,” said Peasant and Greens Union fraction member Virgilijus Poderys. Fraction leader Ramūnas Karbauskis explains that those elected to Seimas had to choose two options – either the mandate as a member of Seimas or the seat of minister. “It is our pledge to voters. They would have had to relinquish their Seimas membership. They wanted to work in Seimas,” explained Karbauskis. Aurelijus Veryga who has been proposed as Minister of Healthcare will not have to relinquish his mandate. Professor Veryga was elected to Seimas at the single-mandate Panemunė district. He has expressed a negative view of legalising gifts to doctors. Having admitted to giving a bribe to a doctor, Social Democrat Rimantė Šalaševičiūtė was forced to resign from the post of Minister of Healthcare; she says she values the abstinence and healthy lifestyle activist Professor Veryga’s competence, but believes that it may not suffice to manage the system. “I think that when an academic with no judicial management skills takes charge, he will find it difficult. Talk is one thing, while work and seeking results is another,” said Šalaševičiūtė. Another “Peasant” shadow cabinet member will not need to relinquish his mandate in Seimas – the current chairman of the Chamber of Agriculture, Bronius Markauskas was elected in the Gargždai district. This ministerial candidate and several other farmers from Marijampolė were convicted by the Utena court in 2004 for riot organisation and participation. Seeking to force the government to provide additional subsidies to milk producers, in 2003 they blocked roads leading to Latvia and Poland, as well as a highway near the entrance to Klaipėda. The court sentenced Markauskas with 60 days of house arrest, with a one year postponement. He took the case to a Strasbourg court, but finally lost the case against the Lithuanian state last year. Kęstutis Navickas is the Peasant and Greens Union shadow cabinet Minister of Environment. He has been the chairman of the Atgaja union, while currently being the chairman of the Lithuanian Environmental Protection Organisation Coalition. In 2011 he clashed with President Dalia Grybauskaitė, when she stated that “secure and clear nuclear energy is one of the most important environmental question in the long term” and that energy security should be pursued by “effectively and creatively using local renewable energy resources and nuclear energy”. K. Navickas wrote a letter to Grybauskaitė in the name of the Environmental Protection Organisation Coalition which states that “nuclear energy has never been and never be secure or safe”. 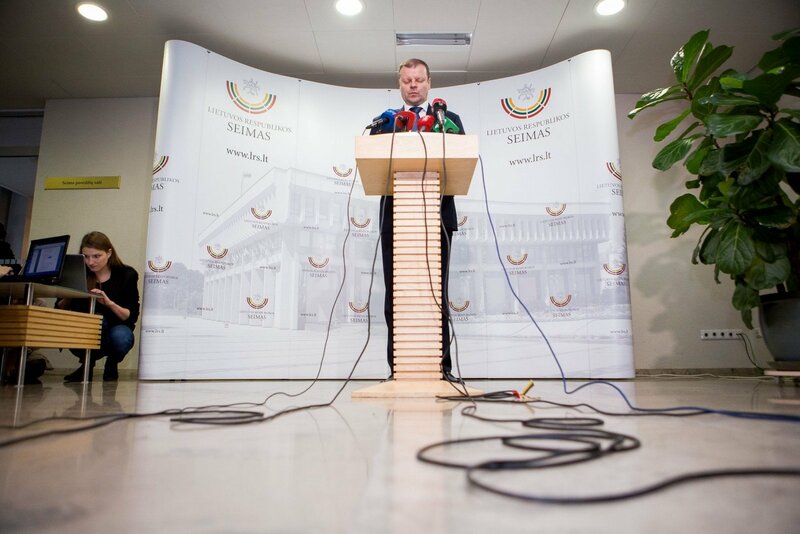 PM elect S. Skvernelis stresses that the candidates presented will have to pass a special services review. If any doubts on reputation or capacity to take office are raised, the possibility of an incomplete cabinet could arise. Social Democrat Darius Petrošius has withdrawn his candidacy for Lithuania's new justice minister. 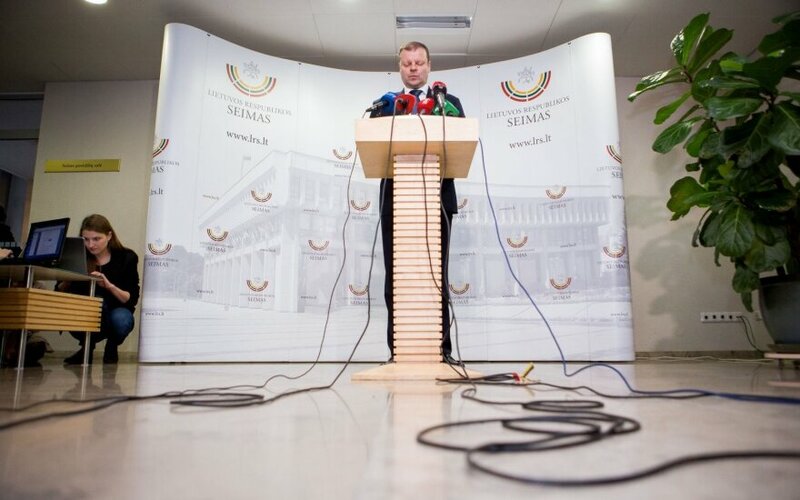 What challenges await Saulius Skvernelis?